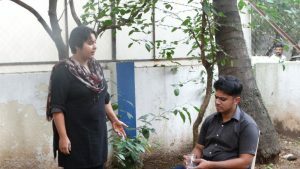 On an overcast Wednesday evening, bang in the middle of the week, a small group of mad hatters banded together at Gyaan Adab Centre to participate in the monthly tea party gathering organized by The Red Door. 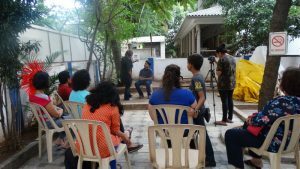 This time around The Mad Hatter's Tea Party collaborated with EPsyclinic and Orchestrated Q'Works to present all those in attendance with a short but gripping play. 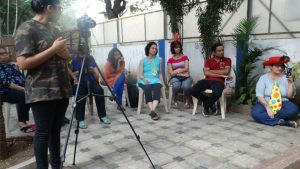 The play was centred around the theme of suicide and was followed by a discussion amongst the participants about the same.